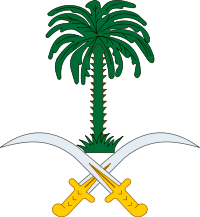 Saudi Arabia has long been criticized as a feeder nation for terrorists, including some of those who attacked this country on September 11th. Well, the country is finally cracking down with its own counterterrorism law but it turns out that the law may have more to do with political dissidents than religious fanatics. Civil libertarians are denouncing the law that would allow the arrest of any reformer or government critic as a terrorist. The law seems crafted to cover critics of the Kingdom by allowing the use of special security procedures for anyone who “undermines” the state. Terrorism is defined as any criminal act that “destabilizes the society’s security or the state’s stability or exposes its national unity to harm.” It also states that terrorist acts include disabling the ruling system or “offending the nation’s reputation or its position.” So “offending” the nation’s reputation is terrorism and of course the Royal family is indistinguishable from the nation. This law not only allows them to be tried as terrorists but allows for enhanced powers for the raiding of homes and the tracking of calls and the Internet as well as a provision that allows suspects be held incommunicado for 90 day. The Saudi minister of culture and information, Abdel Aziz Khoja, insists that the legislation strikes a balance between prevention of crimes and protection of human rights under Islamic law. First, the protection of human rights under the form of Islamic law imposed by the Kingdom is hardly a comfort when the government is arresting women for driving or meeting in public with men as well as denying basic speech and religious freedoms. Second, I fail to see any balance in declaring people terrorists for “undermining” the government. Not surprising, dozens of activists have been detained under the law. Notably, a similar 2011 attempt to pass this law was stopped by an outcry of civil libertarians. The law was then pushed through quietly this year without debate. You will note the similarity of the law’s terms to the international blasphemy law pushed by Saudi Arabia with the support of the Obama Administration. Rather than offending Islam and being defined as a blasphemer, this law makes you a terrorism for offending the government. Thus, you could end up as both a blasphemer and a terrorist by offending the government on a matter of religion. Thus, you could end up as both a blasphemer and a terrorism by offending the government on a matter of religion. does it surprise anyone that there are a lot of terrorists in saudi arabia. it’s like the oprah show. you’re a terrorist, you’re a terrorist, and you’re a terrorist. Why does the US tolerate this from “allies” and spy on those considered “friends”? I wonder, how many years will pass before we can replace “Saudi Arabia” with “United States” and the article will still read true? Heck…. Alls we need to do here is let the president claim they are enemy terrorist on American soil….. They need no proof..,.. The lack of rights in Saudi Arabia is striking, but we are slowly going in their direction. I’m sure it’s nothing that cannot be solved through selling even more advanced weapon systems to the country that produced most of the 9/11 hijackers, along with a phallic coat of arms. Hey that sounds just like the new law that the USA just passed! I trust Prof. Turley will not be travelling to Saudi Arabia in the future since he will be thrown in prison as a terrorist as soon as he sets foot there. Doesn’t have to be. There are, fortunately, many instances of this not being the case. Sometimes it takes extreme exaggerated examples for people to recognize that laws, courts, armies and police forces are developed to protect those in power. Everyone else is on their own. That is the nature of power. Well, you would not expect a terrorist breeding ground like Saudi to get it right. For assisting the US government with 9/11 Saudis were the only flyers the day after 9/11, along with the Bin Ladens. Not that I thought Osama had much to do with it but was pleased as punch to be blamed! The terrorism on women will continue under the guise of Sharia law as well as against men who have any contrary religious ideas & dare to say so. Those we call terrorists, if Moslem, are saints & martyrs in true 1984 style. In 2007 I predicted that Saudi Arabia would be the next Middle Eastern government to fall. I was wrong. The Arab Spring sprung elsewhere and skipped over Arabia. But the dynamics are still there, but for one thing. $audi money! The Saudi people, including it’s army, are all well paid, compensated such that freedom is sold for a very high price, a price the world crude oil market funds. And it is that $audi money and $audi foreign policy which funds what is going to happen pretty much globally. All menial labor and somewhat degrading work in $audi Arabia is done at modest wages by foreigners, not $audi citizens. The citizenry is paid off not to get involved. Saddam Hussein was a threat to the global crude oil markets. He wanted to pretty much corner that market from the supply side. And he worked outside of both OPEC, which he founded, and the Arab Union. So Saddam had to go. But understanding the dynamics of the Sunni/Shia conflict, the $audis were happy to see that Saddam was removed from Kuwait, but not Iraq where he kept the lid on that conflict. Now that conflict has spread to Syria and beyond. This new $audi law is best understood through understanding what makes crude oil run, money primarily from the West and now China, and how the money flows inside $audi Arabia, then out to those whom the $audis perceive as being opposed to $audi intere$t$. Follow the money, friends. Seems like we have too….just ask Snowden…. Big Brother here and there stumbling over its tongue, creating a dysfunctional nomenclature and jurisprudence.